What is love? How do children see various aspects of the ultimate human emotion? We're coming up on Valentine's Day, which makes this bookmaking activity perfect for this time of year. I was inspired to do it after reading a book that Penguin Random House sent us to preview. 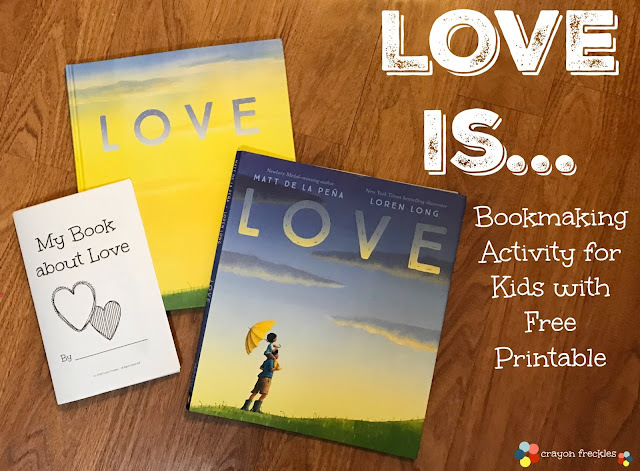 Newbery Medal-winning author Matt de la Peña and bestselling illustrator Loren Long (Otis books) have come together to create a heartwarming, honest, and relatable new picture book for children about love.It has been a while since I had a book make me cry. When I first read it, I had the ugly cry going on. The book starts with the love we receive when we are born, then continues through the various love-related experiences we have as we live our lives. This book is a great starter for talking with our children about emotion and how we can find love in times that are scary or sad, as well as happy ones. 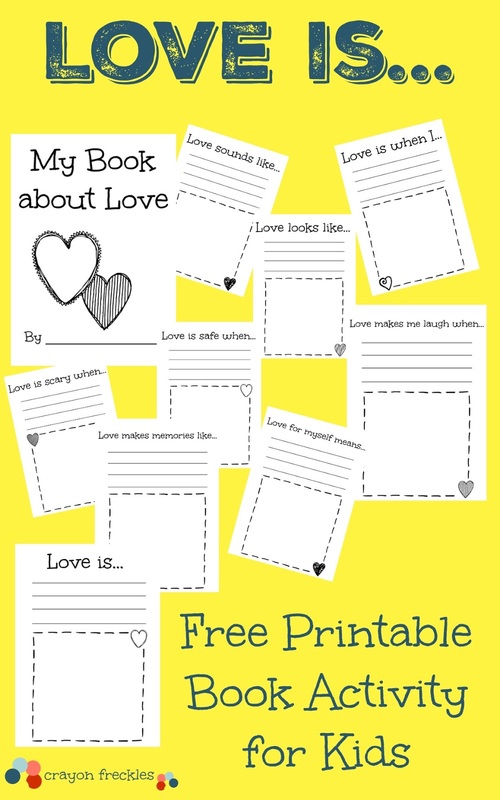 This printable bookmaking activity allows children to document what love means to them based on the experiences in the book.... what love smells like, when love is scary, when love is safe, etc. 1. Print out the Love Is... book activity. For accurate collation and printing, please follow these Printing Instructions. After selecting to print the file, opt to print pages 2-9. In your "More Printer Settings" area, select to print on "two sides" and "flip on the short side". 2. Once printed, fold each book in half and secure with 2-3 staples. 3. The activity can be done two ways. Older children can be given the book to fill out on their own and provide their own illustrations. OR younger children can color on it, give their narrations to one able to write, and family pictures depicting what is on the page can be attached. 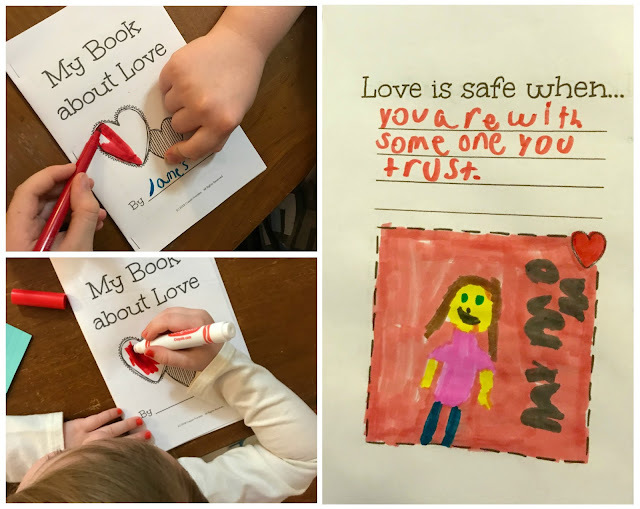 Once done, children can share their favorite page in their book, use it to connect with friends on similar answers, or be given as a gift for Valentine's Day.